We have designed a roadmap that provides our customers with a great buying experience. Our process begins with your vision and goals and continues through to delivery of that vision into a reality. 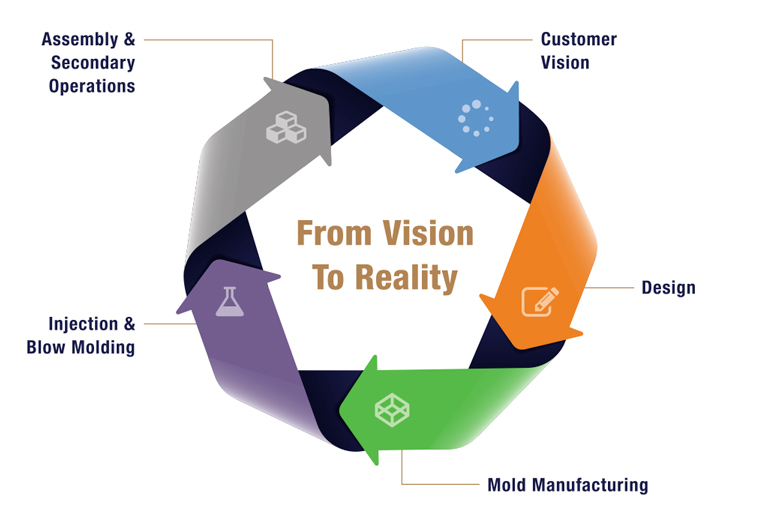 From Design, Mold Manufacturing, Injection & Blow Molding and Secondary Operations, we have the capabilities and know how to make your vision a success. Call or visit us and let’s get started!